Lead based paint is a paint film containing lead, a heavy metal that was used to speed the drying process, increase durability and retain a fresh appearance. In 1978 it was banned from use due to its toxicity to humans. Lead based paint (LBP) toxins can be easily transmitted by touching paint walls or items and ingesting it by contacting our eyes, nose, mouth or food that enters our bodies. United Analytical Services, Inc. (UAS) staff of licensed professionals (lead inspectors and lead risk assessors) has extensive experience with identifying the presence of lead based paint. For each project we are brought into, you will receive a thorough assessment clearly identifying the location of lead or lead contaminated area. Our assigned team will create a detailed inspection or assessment report. Where needed, UAS can assist with lead abatement design specifications to ensure the restriction of the unsafe material, project manage the removal process and test to ensure a safe environment is achieved. Our firm employs numerous IDPH licensed lead inspectors and lead risk assessors for projects including homes, apartment complexes, housing authorities, industrial facilities, manufacturing facilities, schools, municipalities and bridge and roadway structures. United Analytical Services designed and managed one of the first lead abatement projects for the Illinois Capital Development Board which involved the conversion of an Illinois National Guard Indoor Firing Range. Whether your lead based paint concern is a small, targeted/focused inspection, a pre-renovation or demolition inspection, a comprehensive inspection, a lead risk assessment, lead hazard screen or lead in water testing, UAS can assist you. 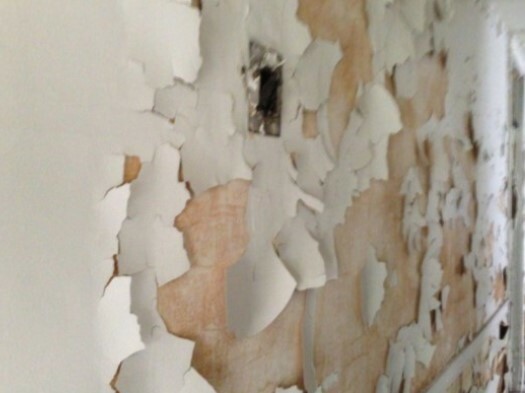 Contact us to find out if lead based paint is in your home or business.